I could write about the things that I would like to receive for Christmas, but honestly I have a lot of stuff. 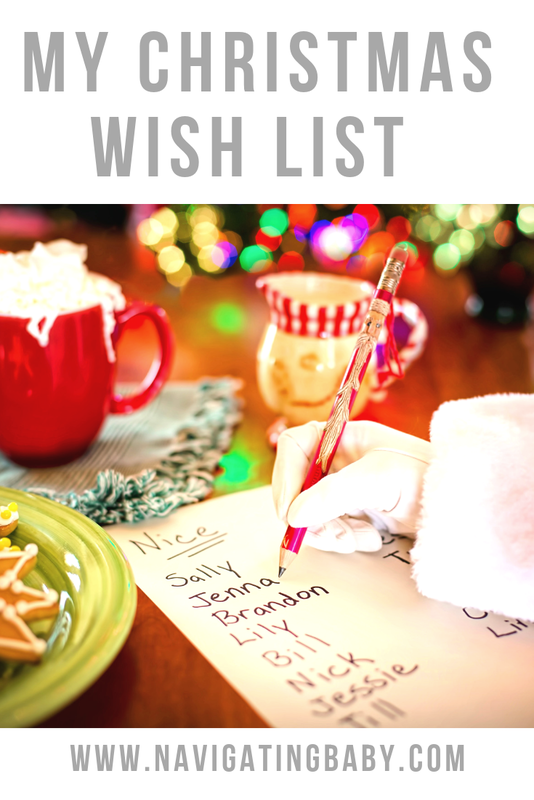 In fact there is so much stuff in this house that one of my wishes is around getting rid of it… So instead of stuff I have been thinking about some of the more abstract things that I would include on my Christmas wish list. These things are not necessarily free as so much in life isn’t, but it is more about improving our lives than having nice stuff on this Christmas Wish list. It has been a long few months with various viruses and bugs flying around and around in this house. I think that is probably typical in families with young kids especially when there are four of them, but for us a cough and a cold can be the start of a bigger issue. One of our little girls has a narrowed airway (technical term is a subglottic stenosis) and croup is her worst enemy. Mine too actually as it is frightening when she can’t breathe. For me it brings back all the anxiety that I had when she was in the NICU and when she had operations as a very small baby. So for Christmas this year I would love for her to grow enough that her throat widens and we can say goodbye to this slightly fraught time in our lives. I would also wish for my sister’s back operation to go perfectly so that she doesn’t have any more pain from it and can do all the things she wants to do. Not for me your understand, but for the blasted wall that divides our kitchen from our dining room and makes our house not really work for us. A galley kitchen and 6 people in a house does not a good combination make! I wish for Christmas this year that we will be able to sort out the ground floor of our house so that we can stay here and not have to move. The kids are in a great school and we are part of a lovely community so we don’t want to leave the area, but as things stand it feels like the house may be too small for us. We hope that knocking down walls will fix this. I have written a few times about the fact that I feel like I am stuck on a treadmill. I wish for me to work out how to be more organised so that I can maybe not stop running, but at least slow down a bit… I don’t want to miss the kids being little because I am rushing about putting clothes away. I am not going to lie it is not all about the greater good I would also love a nice pair of low heeled ankle boots….